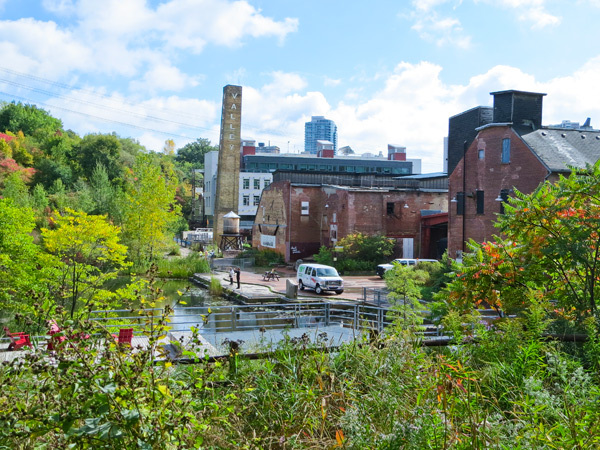 Located in the floodplain at the confluence of Mud Creek and the Don River, this 4.86-hectare parcel was once home to the prodigious Don Valley Brick Works, established in 1889 by William Taylor. The brickyard closed in 1984, its sixteen industrial buildings built between the 1880s and 1960s quickly falling into disrepair. 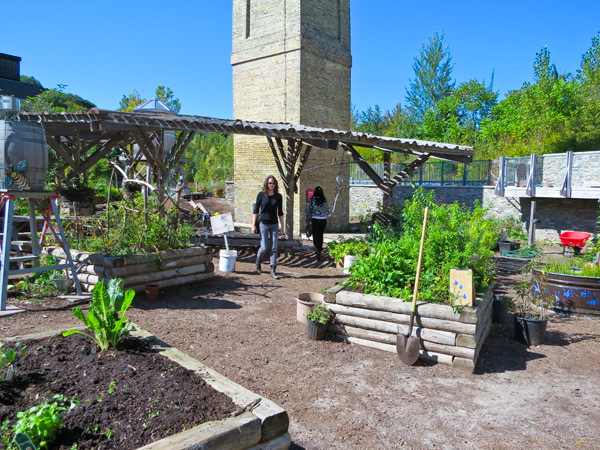 The Toronto Region and Conservation Authority appropriated the brownfield site in 1986 and leased it to the not-for-profit organization Evergreen, which transformed the buildings into a community and environmental center. 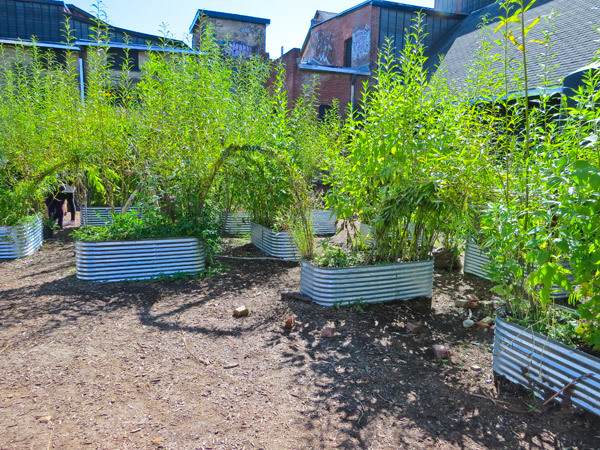 A consortium of planners, architects, and landscape architects collaborated on the project, led by multidisciplinary firm DTAH. 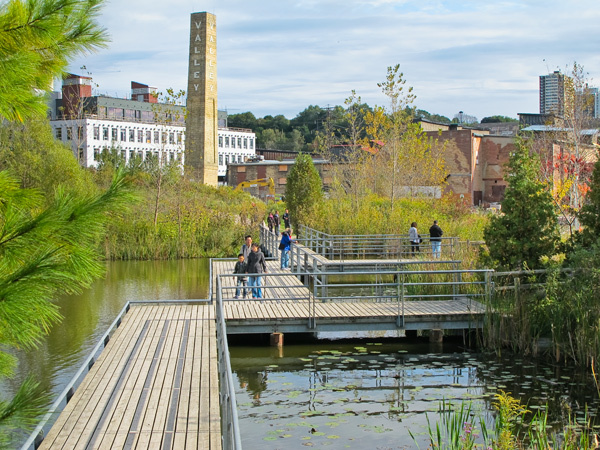 Opened in 2010, the new buildings, which are elevated above, attached to, and inserted into the original factory structures, are interconnected by walkways and bridges, allowing the landscape below to permeate the site, and to connect with the surrounding system of nature and waterways. 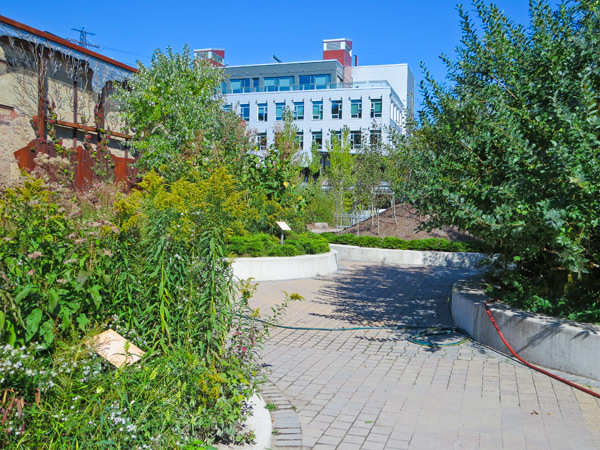 Thirteen themed planting mounds provide soil remediation in the Welcome Court, which also features a living sculpture/planting wall by Ferruccio Sardella called Watershed Consciousness, one of several on-site public art pieces. 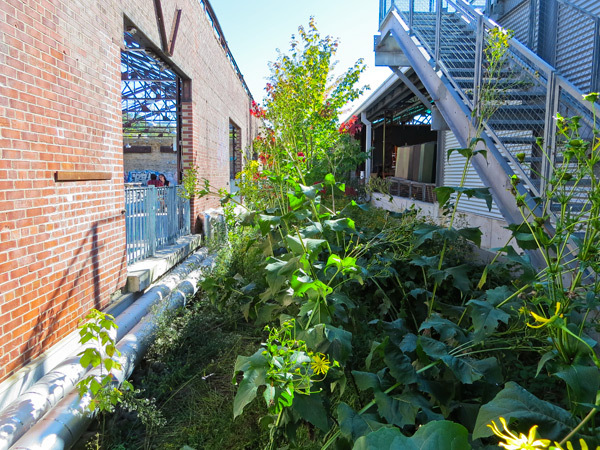 Rainwater harvested from the roofs is used for irrigation and washrooms, and is also filtered through planted window boxes. 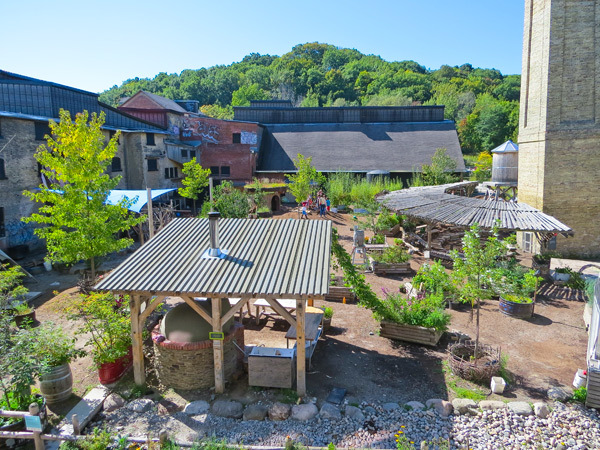 The Chimney Court features edible plants, including fruit trees and berry bushes, and elsewhere there are demonstration gardens, retail stores, and a farmers’ market. 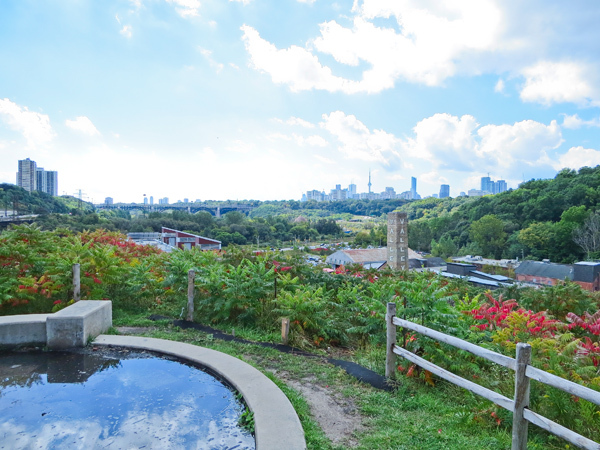 Ravine Terrace, a scenic overlook, provides views of the adjacent Weston Family Quarry Garden, the brickyard’s original quarry, now in-filled and home to woodlands, wetlands, and a wildflower meadow, all traversed by trails. 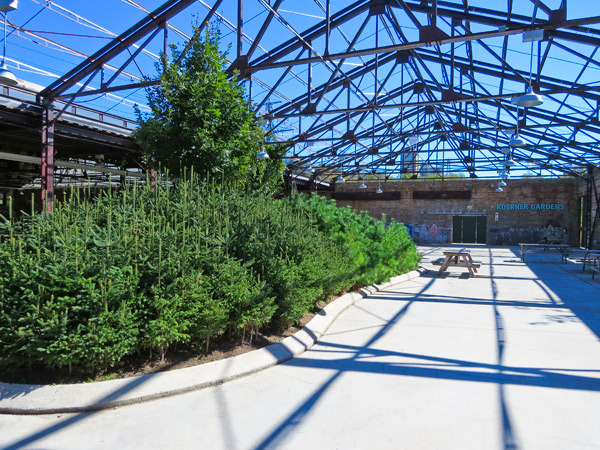 The complex of industrial buildings was designated a heritage property under the Ontario Heritage Act in 2002, and a National Historic Site of Canada in 2011.